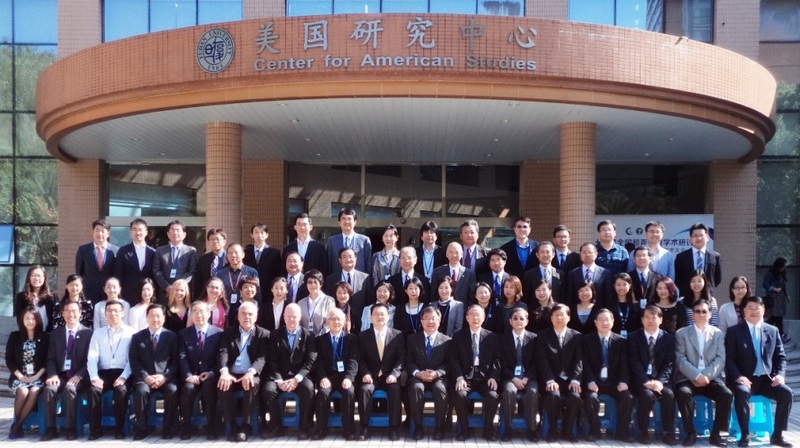 The academic councils of the three Northeast Asian countries, the China Academic Net for United Nations Studies (CANUNS), the Japan Association for United Nations Studies (JAUNS) and the Korea Academic Council on the United Nations System (KACUNS) met and discussed global and regional peace and security issues along with sustainable development and human rights. 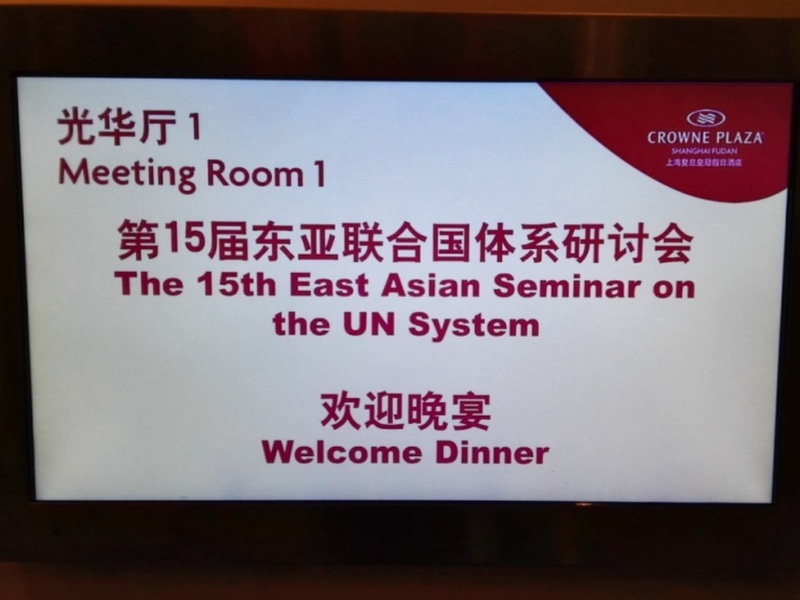 The 15th East Asian Seminar on the UN System brought together some 50 scholars from China, Japan and Republic of Korea to share their views on the issues surrounding the United Nations. 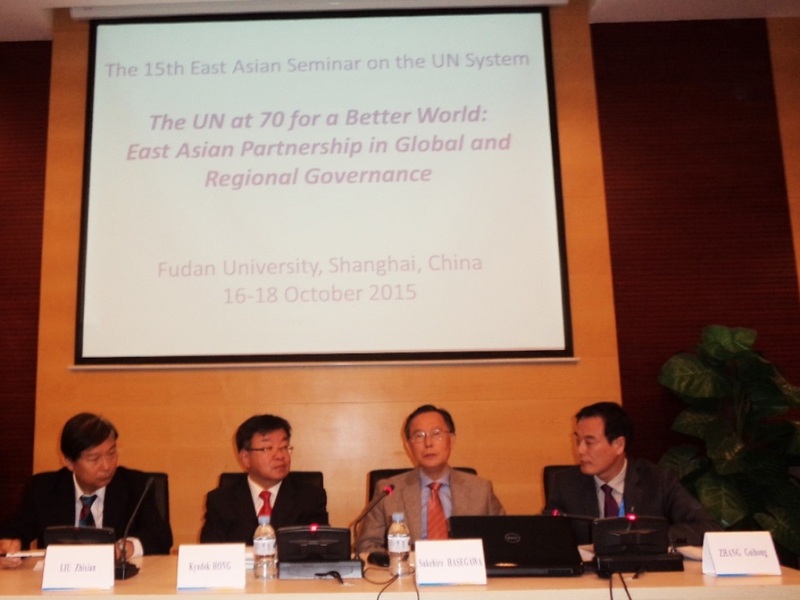 The theme of the conference was The UN at 70 for a Better World: East Asian Partnership in Global and Regional Governance. Two officials of the global Academic Council on the United Nations System (ACUNS), Professors Roger Coate, member of the Executive Committee and Alistair Edgar, Executive Director of ACUNS joined the participants of the China Academic Net for United Nations Studies (CANUNS), the Japan Association for United Nations Studies (JAUNS) and the Korea Academic Council on the United Nations System (KACUNS). 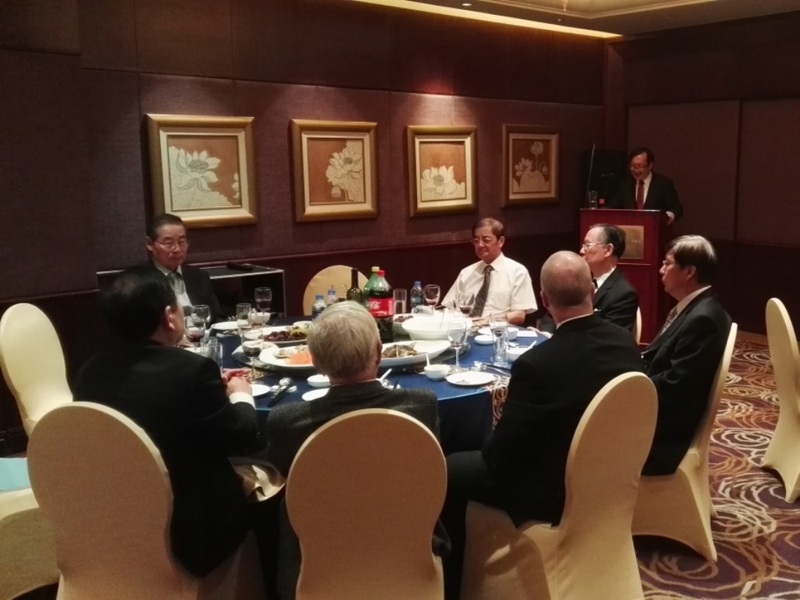 On Friday, 16 October, CANUNS hosted a welcoming dinner with a keynote speech delivered by Professor YANG Jiemian, President of Shanghai Association of International Relations. At the opening session held on 17 October and moderated by Professor PAN Guan, President, Shanghai UN Research Association, Prof. ZHOU Yaming, the Assistant to the President of Fudan University delivered a welcome remarks, followed with the opening remarks by Mr. LIU Zhixian, Vice President of UNA-China and Secretary General of CANUNS, Professor Sukehiro HASEGAWA, former Special Representative of the Secretary-General of the United Nations and Head of Japanese Delegation, JAUNS and Professor Kyudok HONG, President of KACUNS. The first plenary session chaired by Mr. LIU Zhixian of China identified new trends in global and regional security and governance from East Asian perspectives by Professor SHEN Dingli of China, Professor Takeo UCHIDA of Japan and Professor Shin-wha LEE of Korea. The presentations were followed by comments by Professor Sukehiro HASEGAWA of Japan, Kyudok HONG of Korea and Professor PAN Guang of China. 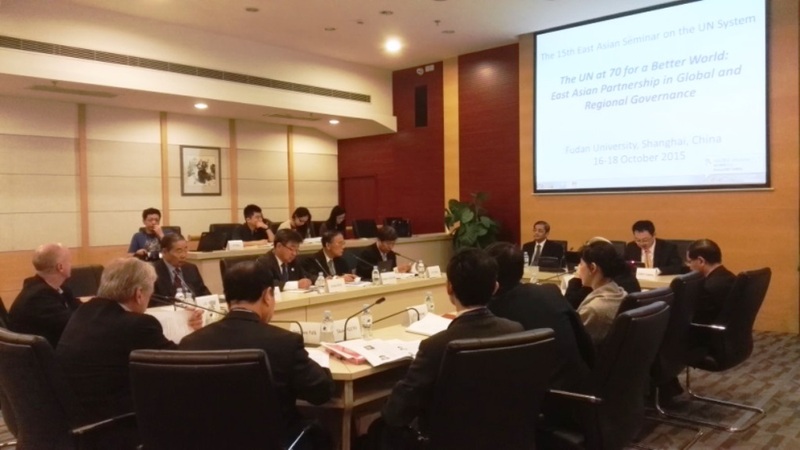 In the afternoon, four working groups exchanged information and views on how to strengthen East Asian cooperation in enhancing peace and security, and shared their perspectives on development and human rights. The four groups took up specifically the issues of (1) better governance of new regional security challenges (2) East Asian cooperation in UN peacekeeping and peace building operations, (3) finance and development and (4) Human rights and culture. The first working group on better governance of new regional security challenges was moderated by Professor Sukehiro HASEGAWA with Professor Takaaki MIZUNO acting as its rapporteur. The Japanese perspective was presented by Professor Satoshi HIROSE, while Professor Jeawook JUNG explained the Korean views and Professor LIU Huaping, the Chinese perspective. Professors Eunsook CHUNG of Korea, LIU Ming of China and Takaaki MIZUNO of Japan commented on the presentations. The second group chaired by Professor Shin-wha LEE discussed the possibility for strengthening East Asian cooperation in UN peacekeeping and peace building operations, while Dr. XUE Lei acted as its rapporteur. The respective presentations were made by Professor Eunsook CHUNG of Korea, Professor LIU Tiewa of China and Professor Hiromi Nagata FUJISHIGE of Japan. They were followed by comments by Professors SHENG Hongsheng of China, Mariko SHOJI of Japan and Yunmi CHOI of Korea. 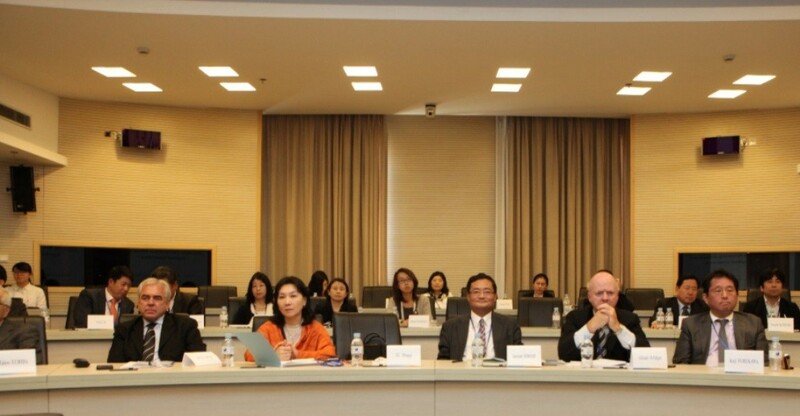 The third working group shared and discussed issues related to finance and development governance. Chaired by Professor GUO Shuyong of China, Professor Han hee LEE performed the task of its rapporteur. Three presentations were made by Professor XU Mingqi of China, Professor Kazuo Takahashi of Japan and Heung-Soon PARK of Korea. 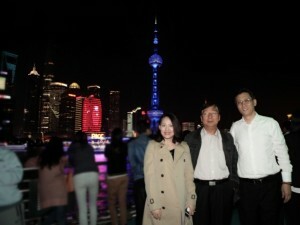 Professor Han hee LEE of Korea and Professor YU Hongyuan of China commented on the presentations. The fourth group took up the implications of human rights and culture from global and regional perspectives. 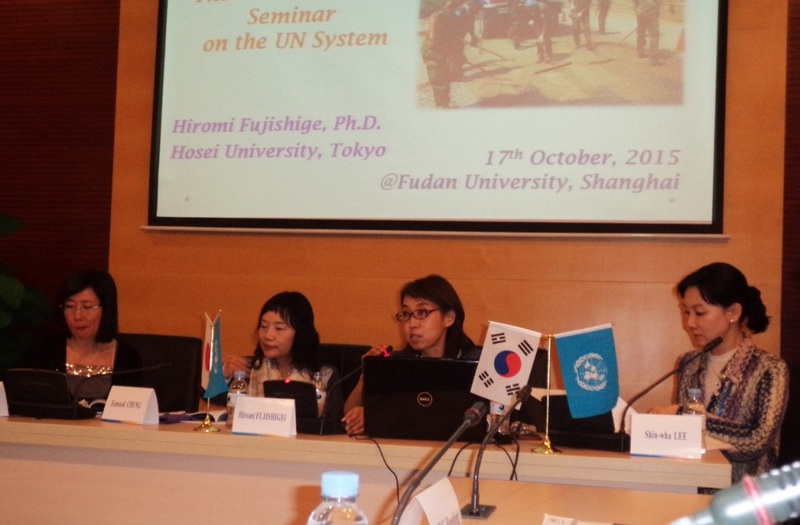 Professor Koji FURUKAWA of Japan chaired the session, while Ms.LI Xueyao acted as its rapporteur. Professors Misako TAKIZAWA of Japan, Young-Hoon SONG of Korea and GUO Shuyong of China made their respective presentations, while Professors Changrok SOH of Korea, ZHANG Guihong of China and Mr. Hajime AKIYAMA of Japan made their views on the subject matters. On the third day, Sunday, 18 October, the second plenary session was held under the chairmanship of former Professor Takeo UCHIDA of Chuo University. Detailed reporting was made by rapporteurs the three group: Takaaki MIZUNO, XUE Lei,Han hee LEE and LI Xueyao. The third plenary session explored ways to foster East Asian partnership in defining a post-2015 development framework at the United Nations. Chaired by Professor Jun Young SUN, Distinguished Professor of Kyungnam University, Former Korean Ambassador to the United Nations, Professors Jun KUKITA of Japan made his presentation followed by Professors Dong Ju CHOI of Korea and Professor YE Jiang of China. 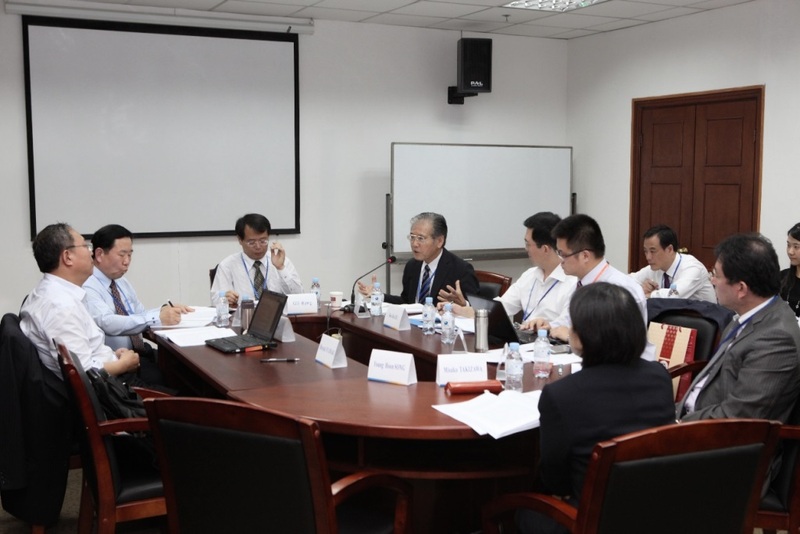 Three commentators, Professors Yasushi KATSUMA of Japan, Young-Hoon SONG of Korea and Professor SHEN Dingli of China, discussed the various aspects of the presentations. The closing plenary session was chaired by Professor ZHANG Guihong, Vice President and Secretary General of SUNRA. 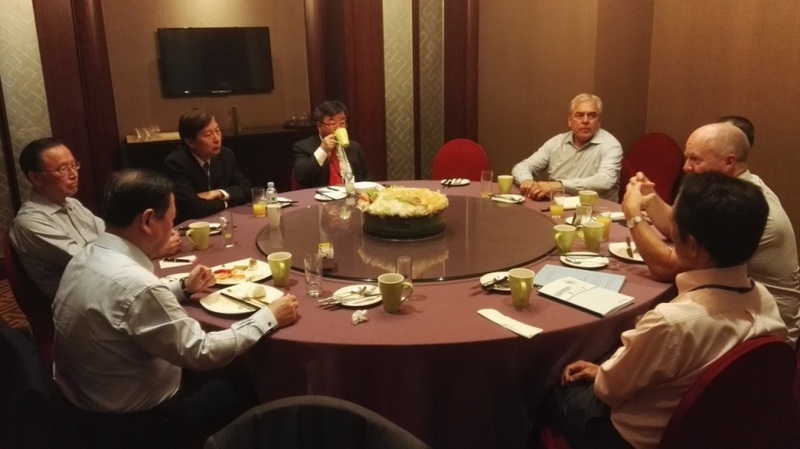 Three heads of the delegations, Professor Kyukok HONG, Professor Sukehiro HASEGAWA and Mr. LIU Zhixian, took note the significance of key issues discussed during the seminar. On behalf of the participants, they expressed their appreciation to the organizers and coordinators of the seminar, Professor ZHANG Guihong of Fudan University, and Mr. ZHOU Yi of SUNRA. CANUNS, JAUNS and KACUNS, along with ACUNS held an executive meeting during the seminar. Social events included a boat trip on the Huangpu River and a sightseeing visit toPeace Hotel and the Shanghai Jewish Refugees Museum. As I participated in the East Asian Seminar on the UN System, I found the value of the UN as a forum to exchange opinions on each side. We share our value to cooperate in many areas, but we still need to have continuous dialogue to reach a consensus. I found that the UN provided a forum to discuss issues we face. Through continuous dialogue, we will be able to trust each other more and discuss issues openly.